Children are fascinated by art and love to experience it first-hand. 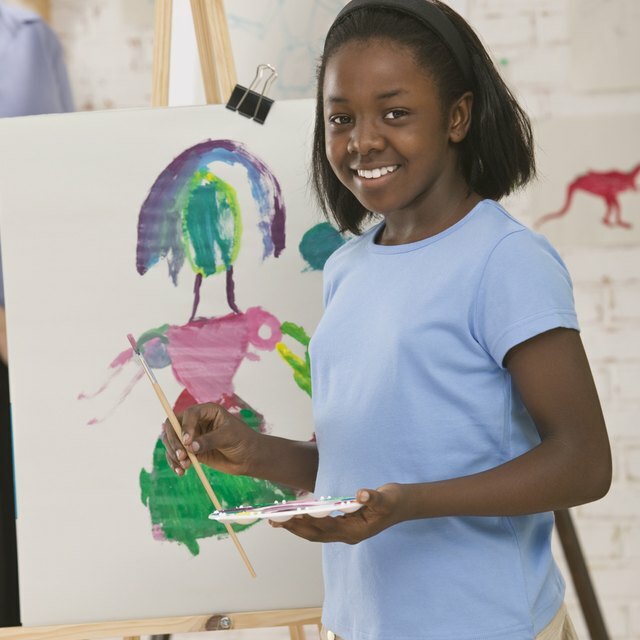 Understanding and participating in art can help children have a greater appreciation for the world around them and help them to develop talents that they might not have otherwise discovered. Art enables children to cultivate self-expression, imagination and creativity as well as critical-thinking and problem-solving skills. 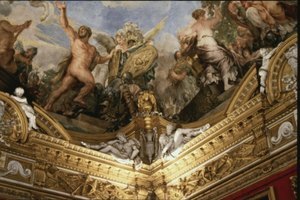 Show the children examples of famous works of art throughout history including sculptures, paintings and architecture. In order for children to understand and appreciate art, it is important that they are exposed to a variety of art styles. Encourage the children to talk about the things that they like and even dislike in each work of art and the emotions that it makes them feel. 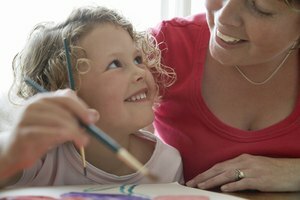 Introduce children to several basic art techniques that use a variety of methods such as drawing basics, stamp painting, splatter painting and water colors. Teach several different art techniques to allow as many students in the classroom as possible to experiment and grow as an artist. 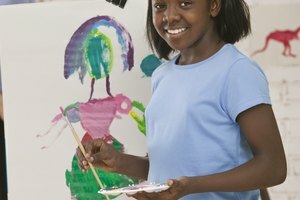 Give children access to a wide variety of art materials to inspire them to explore their own creativity and experiment with new art techniques. Providing children with the opportunity to start by exploring materials on their own will allow them to express their own creativity and is a great way to encourage an interest in art. 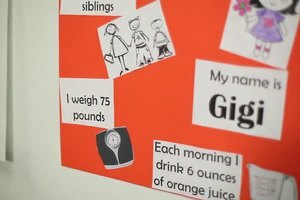 Provide a basic art project sample for children to use as a visual template and encourage them to create their own version of the art project. 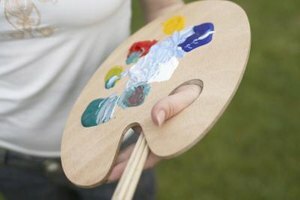 Art projects can incorporate a specific style of art, a classroom educational theme or an art technique. Display your students artwork throughout the school in the hallway and in classrooms to show that you are proud of the effort of every student. Seeing their artwork displayed encourages students to try new art techniques and explore their own talents and abilities. Provide alternative projects for students who might not have an interest in a specific art technique or project. Art has many variations and students should be encouraged to find the style of art that they enjoy. Rachel Lister has served as an executive editor and feature writer throughout her career. She has contributed to the Busy Mommy Media online magazine and Preschool Rock. She holds a Bachelor of Arts in English from Brigham Young University. 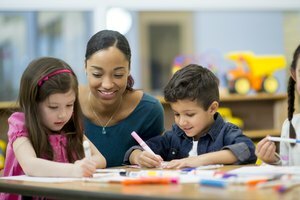 What Are the Benefits of Special Education & Art Integration? Lister, Rachel. "How To Teach Art to Kids." Synonym, https://classroom.synonym.com/teach-art-kids-5329457.html. Accessed 24 April 2019.